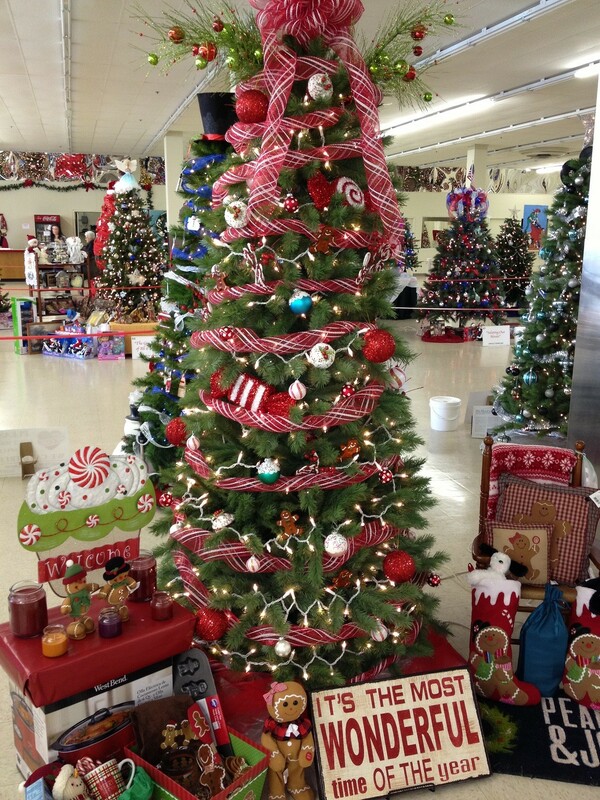 Get in the holiday spirit at the 2013 We Care Trim-A-Tree Festival! 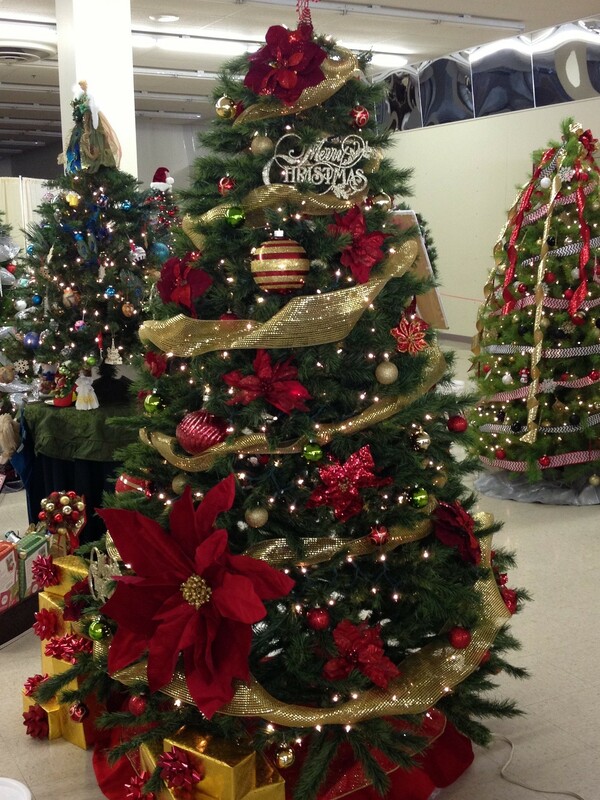 Where can you see 80 beautifully decorated Christmas trees and wreaths in one place? 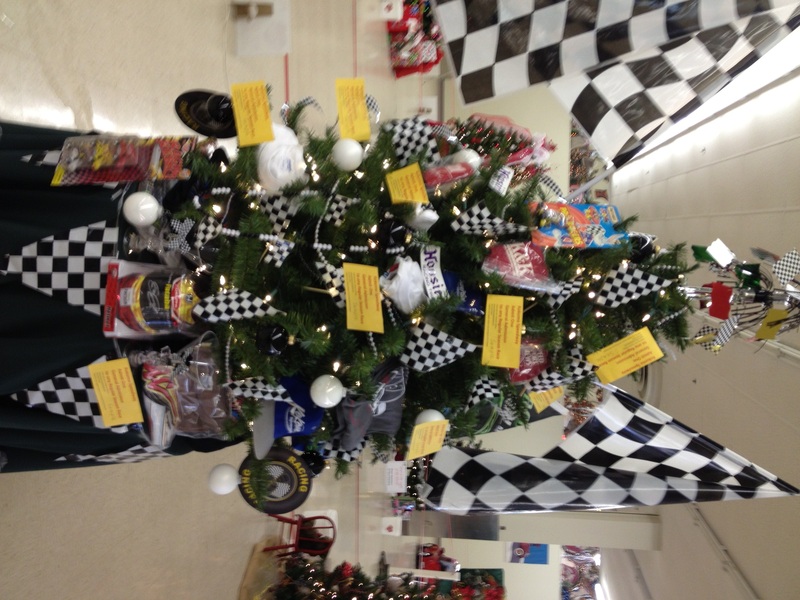 The We Care Trim-A-Tree Festival! Originally started in 1993, this event has become an annual tradition in Kokomo for many families, businesses, and organizations. 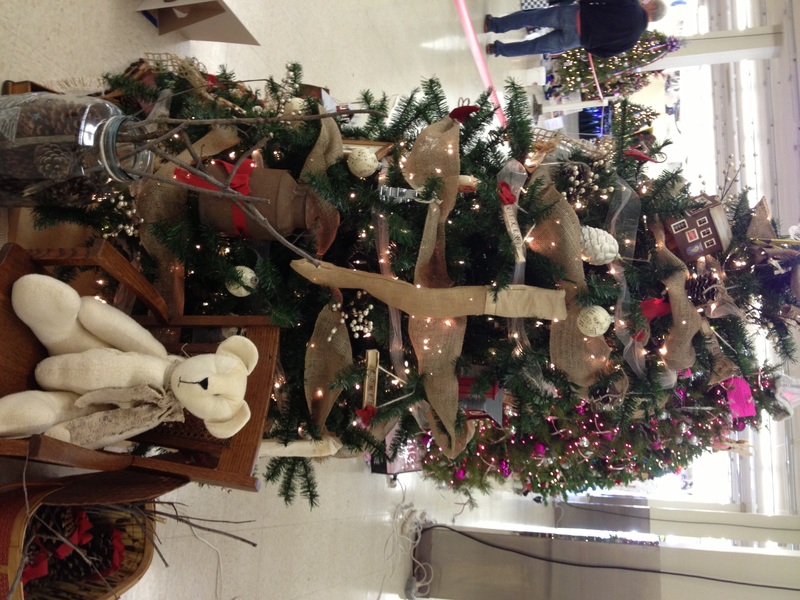 The display is located at the Kokomo Town Center (1700 East Boulevard Street) and is open now through November 17, 2013. Hours are Monday – Thursday 10am-7pm, Friday & Saturday 10am-9pm, and Sunday 12-6pm. 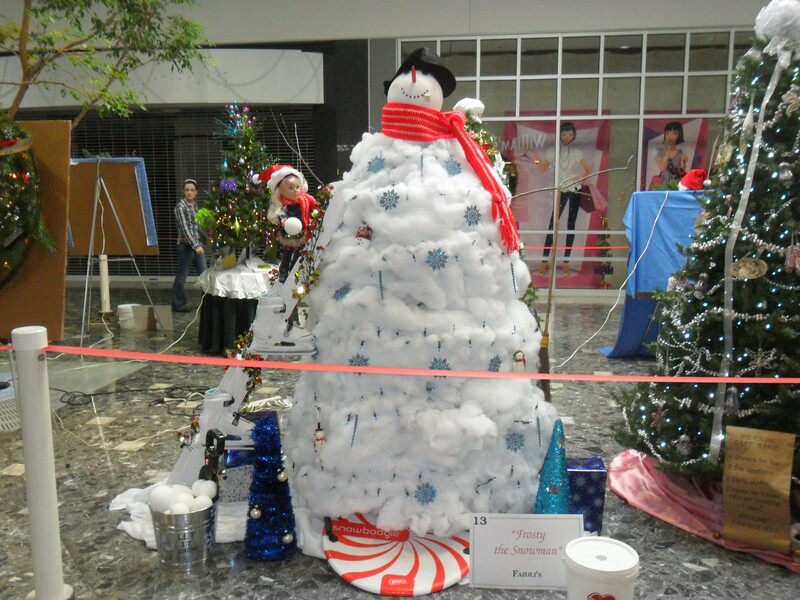 Enjoy the sights and sounds of the holidays, and vote for your favorite! Admission is free. 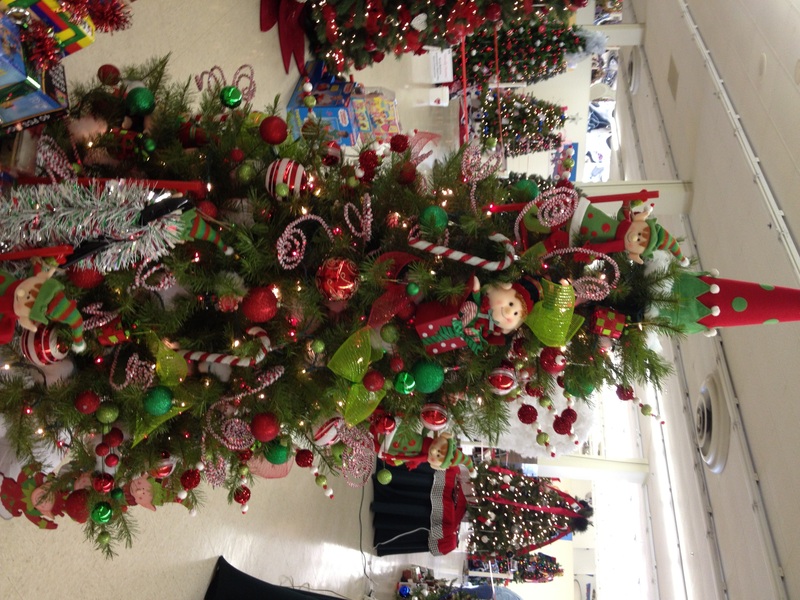 All trees and wreaths will be auctioned off at 3pm on November 17th. Proceeds will benefit We Care. Below are a few of my favorites from this year’s festival! 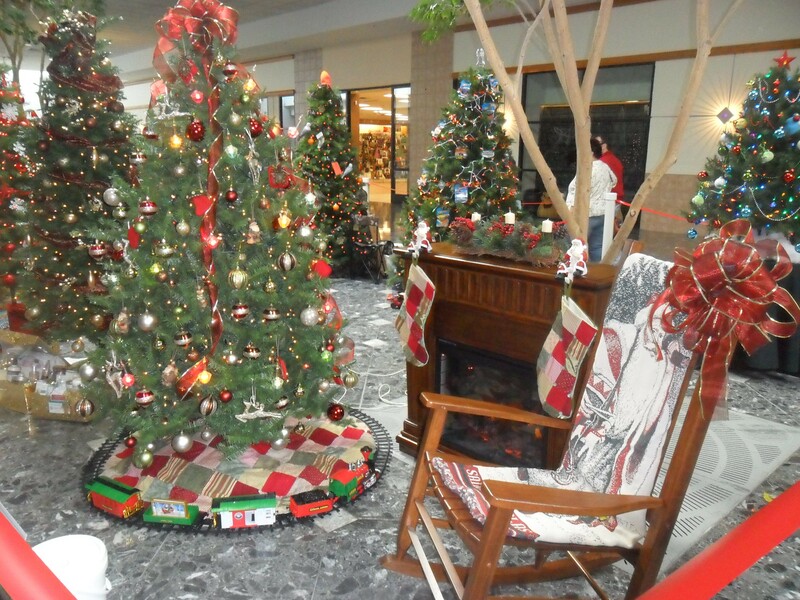 Your Guide to Fun Holiday Events & Spectacular Light Displays in Kokomo! 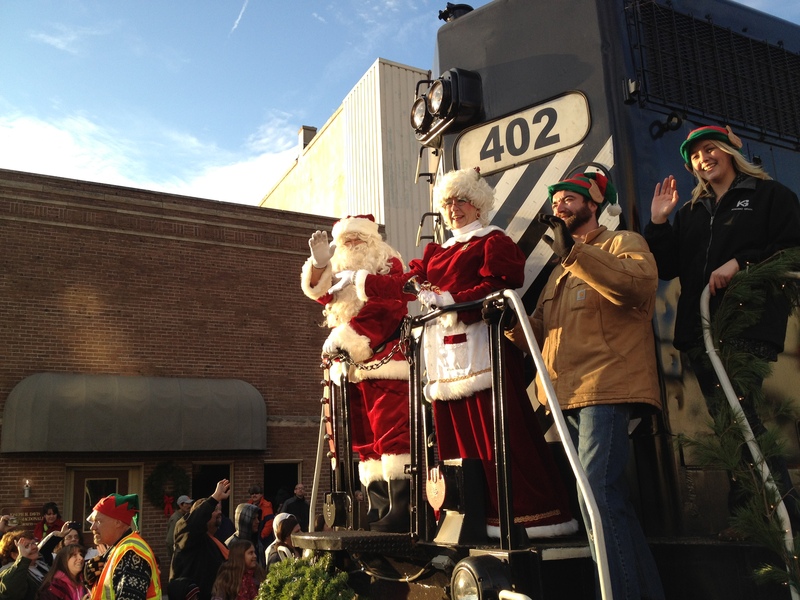 Light Up Your Holiday will feature Santa’s arrival on the train in Downtown Kokomo among many other fun activities for kids of all ages! Visit Kokomo Indiana for great tours and family-friendly events that will make your family’s holiday season merry and bright! 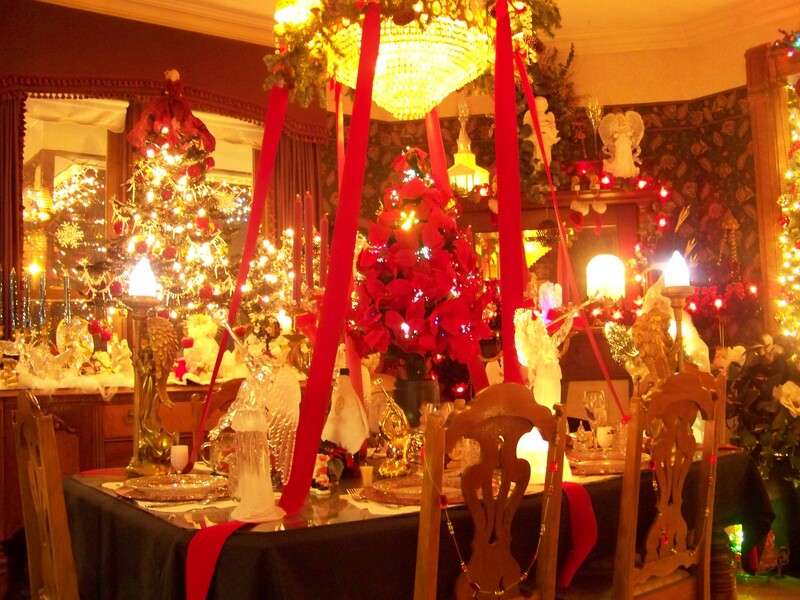 Christmas at the Seiberling is an annual holiday tradition in Kokomo held at the Seiberling Mansion, beautifully decorated both inside and out! 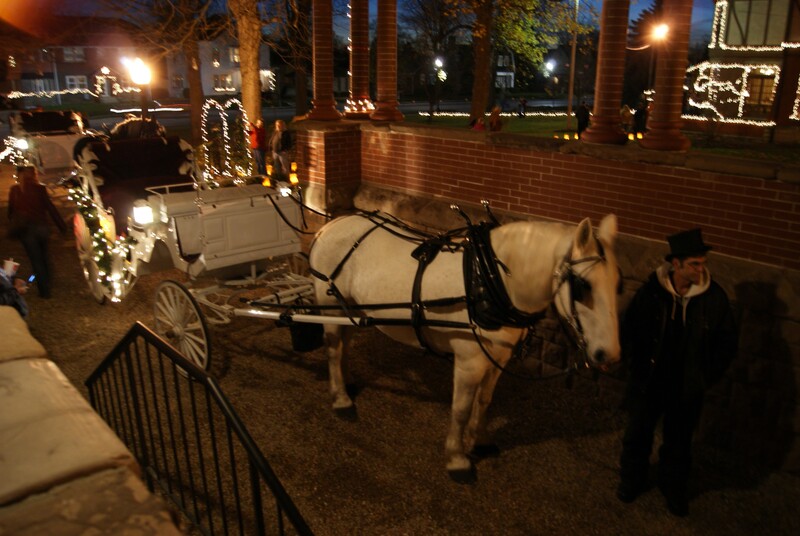 The Opening Night Ceremony will be held November 24, 2012 from 6-9 pm with Santa visits, carriage rides (by reservation), entertainment, and museum tours. Christmas at the Seiberling tours will continue throughout the season Tuesday-Sunday from 1-4 pm through December 30th (closed December 24-25.) 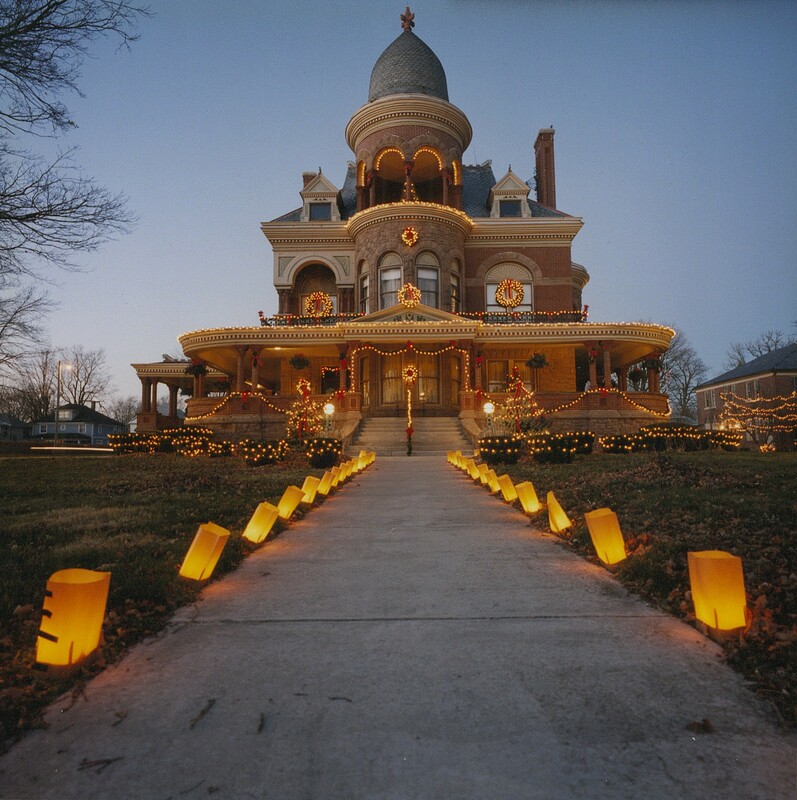 Don’t miss this chance to experience the Seiberling Mansion in its full holiday splendor! This is also a great tour idea for groups of all sizes or a women’s holiday outing. Admission is $4 for adults & $1 for kids. Visit website or call (765) 452-4314 for information or to schedule a group tour. 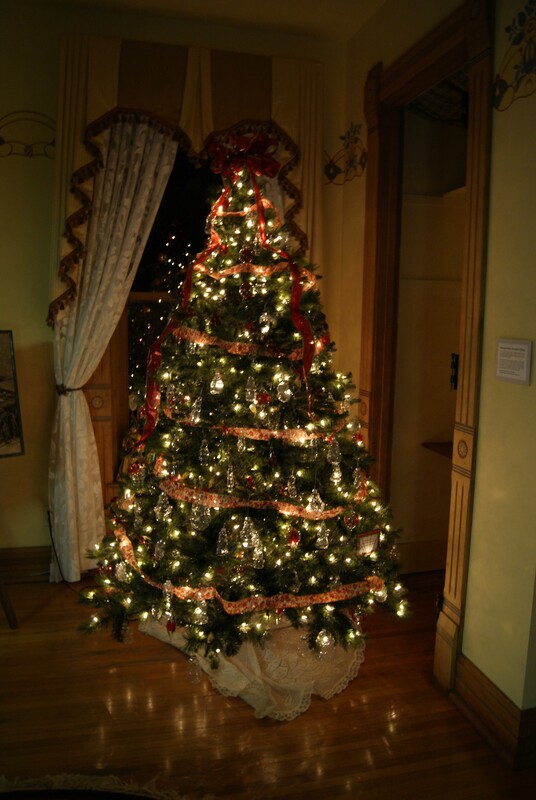 Christmas at the Seiberling tours are sure to put you in the holiday spirit! 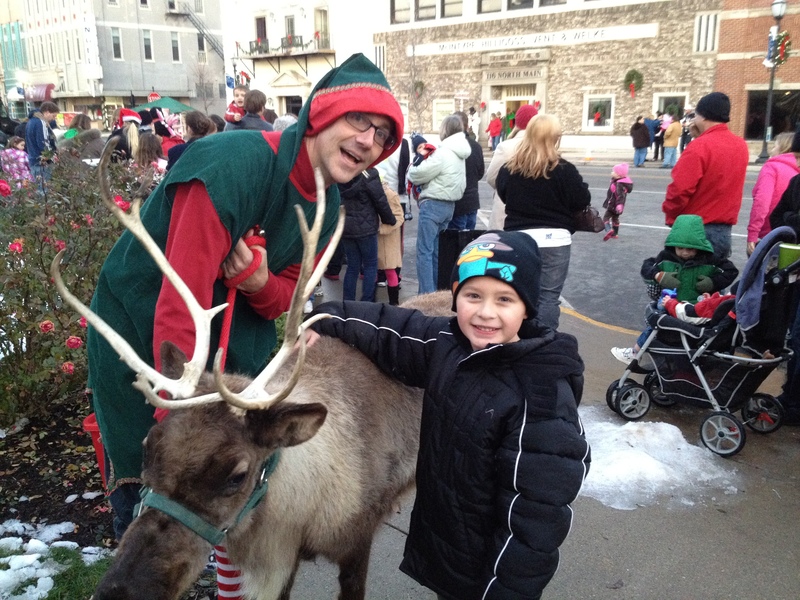 Kids can pet a real reindeer during Light Up Your Holiday in Downtown Kokomo! 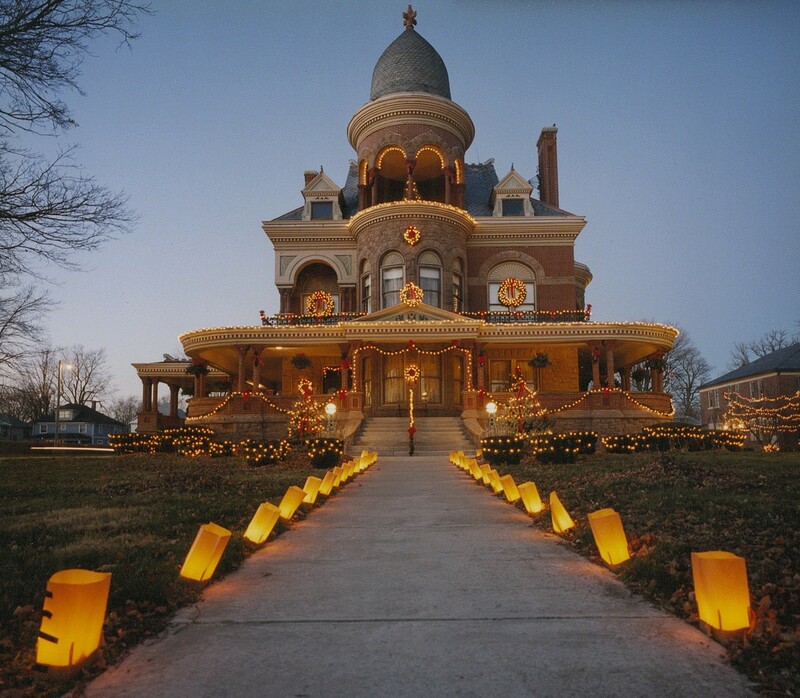 Enjoy a drive or stroll through several spectacular light displays in the Kokomo area. These include We Care Park (Kokomo’s largest holiday light display with over 1,000,000 lights and dozens of animated displays), Highland Park and Pioneer Village at the Howard County Fairgrounds. Most light displays will be open nightly starting Thanksgiving weekend. Take a step back in time and enjoy A Country Christmas at Easy Acre Farm. Visit Santa, see his sleigh, and meet live reindeer from 1-4 pm on December 15-16 & 22-23, 2012. Located at 3347 East 50 North (less than 2 miles east of Kokomo), Easy Acre Farm has several fun family-friendly events throughout the year and boasts their farm attraction as agri-tainment! This is a great opportunity to visit a local farm and learn about history and old-fashioned values. Visit their website for more details. 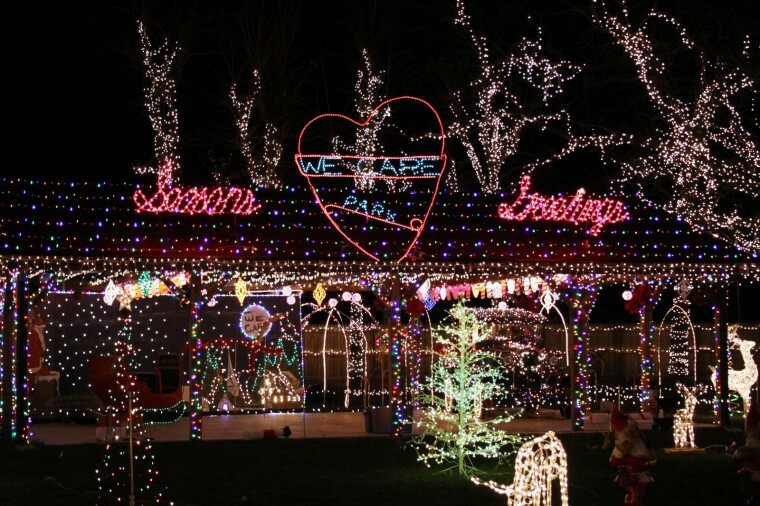 All ages will enjoy the annual light display at We Care Park! Enjoy theater and music? 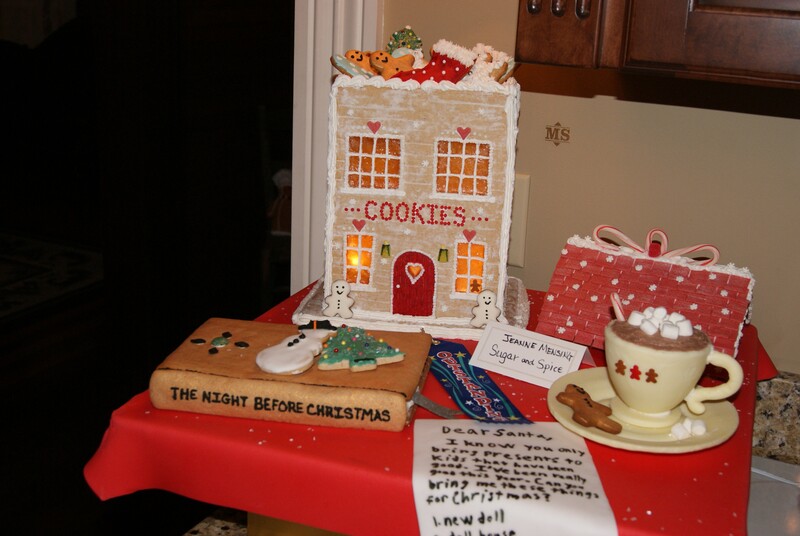 Here are a few more ideas to enjoy the holiday season! Kokomo Civic Theatre will present the heart-warming musical “The Gifts of the Magi” on November 30 – December 2, 2012 at IU Kokomo Havens Auditorium. Performances will be held Fri. & Sat. 8 pm and Sun. 2 pm. Visit their website for ticket information. 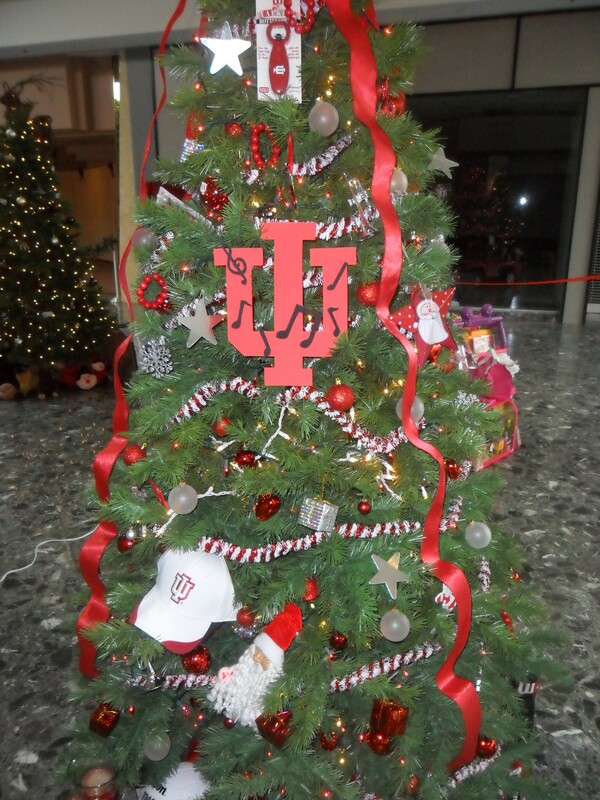 The We Care Christmas Concert will be held on November 16, 2012 at IU Kokomo Havens Auditorium at 7 pm. Concert will feature several local musicians and performers, and admission is $2. Also, don’t miss the Kokomo Symphony Orchestra Youth Winter Concert. KSO Youth will perform at Grace United Methodist Church in Kokomo at 7:30 pm on December 14, 2012. In between holiday baking, shopping, decorating, and gift wrapping, we hope you take some time to enjoy this holiday season with your family and friends! For more information on special events, tours, shopping & dining in Kokomo, visit our website at www.VisitKokomo.org or download the Visit Kokomo Mobile App, available on both Apple & Android phones and devices. 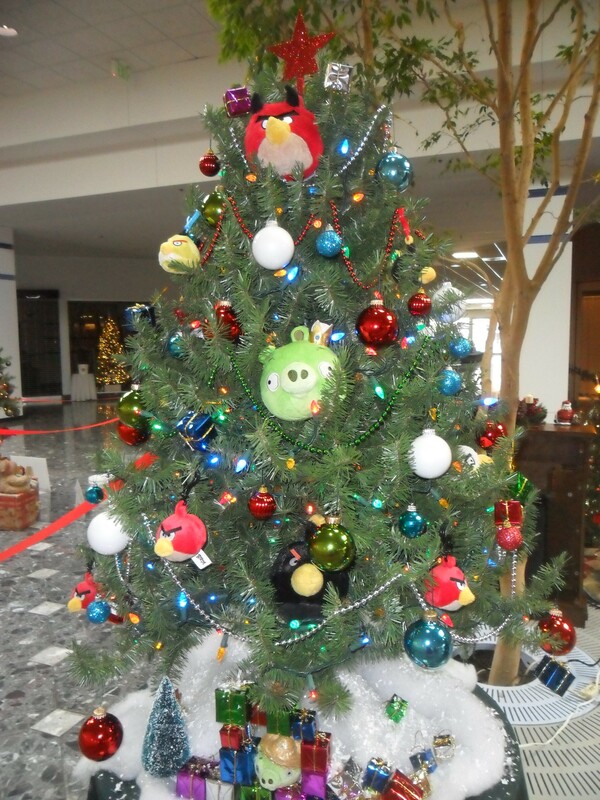 Happy Holidays from the Greater Kokomo Visitors Bureau! 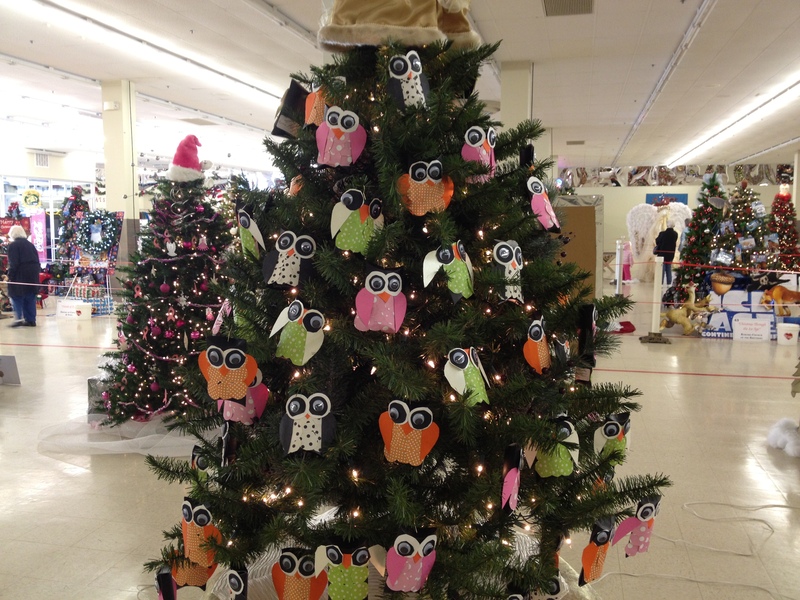 20th Annual We Care Trim-A-Tree Festival Going On Now! 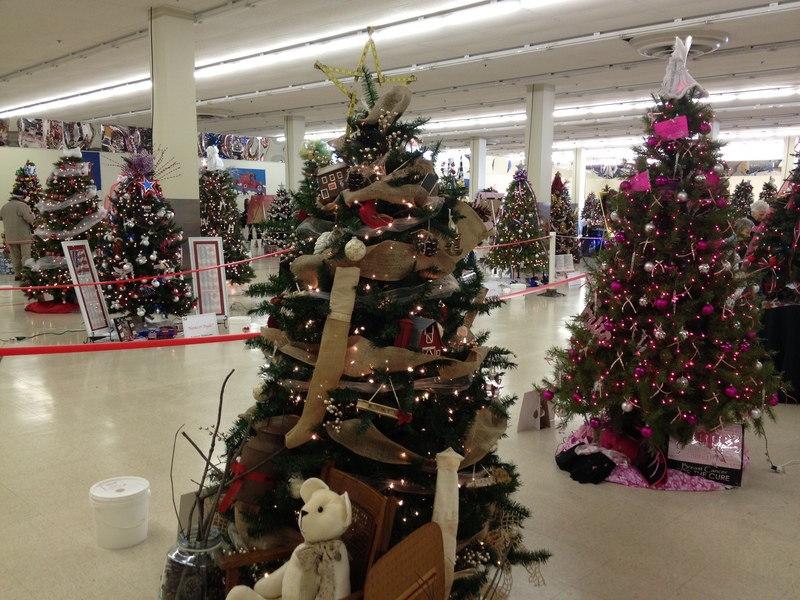 The 20th Annual We Care Trim-A-Tree Festival is going on now in Kokomo. This event marks the start of the holiday season for many (and starts the holiday spirit stirring in me!) 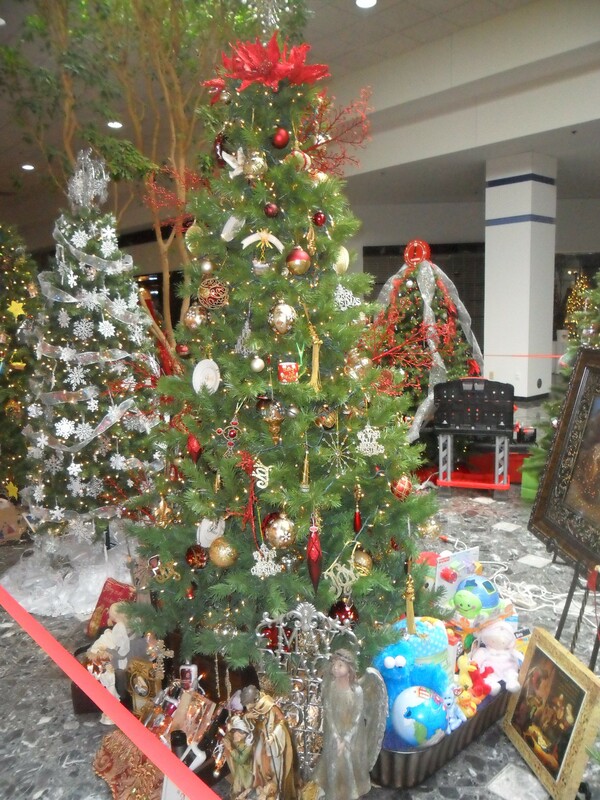 This year, 80 beautifully decorated Christmas trees and wreaths are on display inside the Kokomo Town Center Mall (enter at back entrance on west side of mall.) I went to visit this week and always stand amazed looking at the detail of each one! Each tree and wreath has been carefully decorated with a specific theme by local businesses and organizations in Kokomo & Howard County. 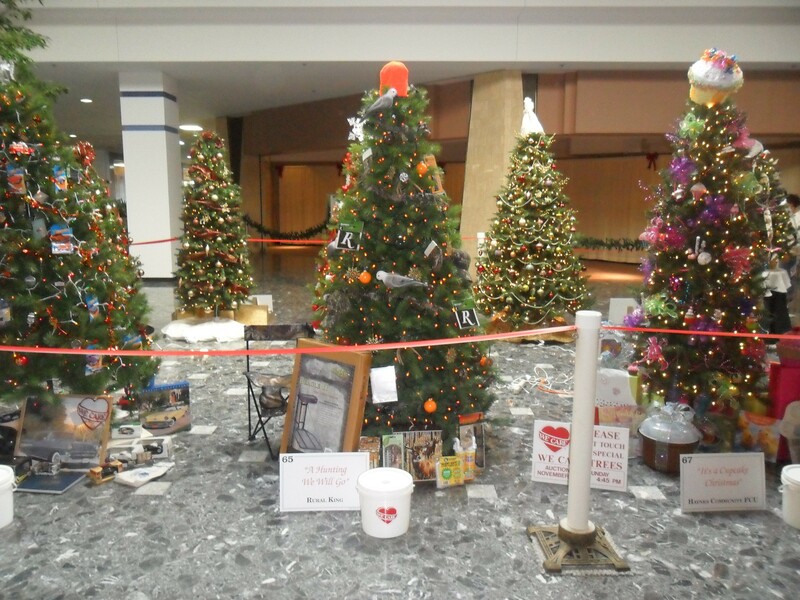 You can visit the tree display now through November 11, 2012 and vote for your favorite by tossing coins in the buckets. Hours are: Monday-Thursday 10 am-7 pm, Friday-Saturday 10 am-9 pm & Sunday 12-6 pm. 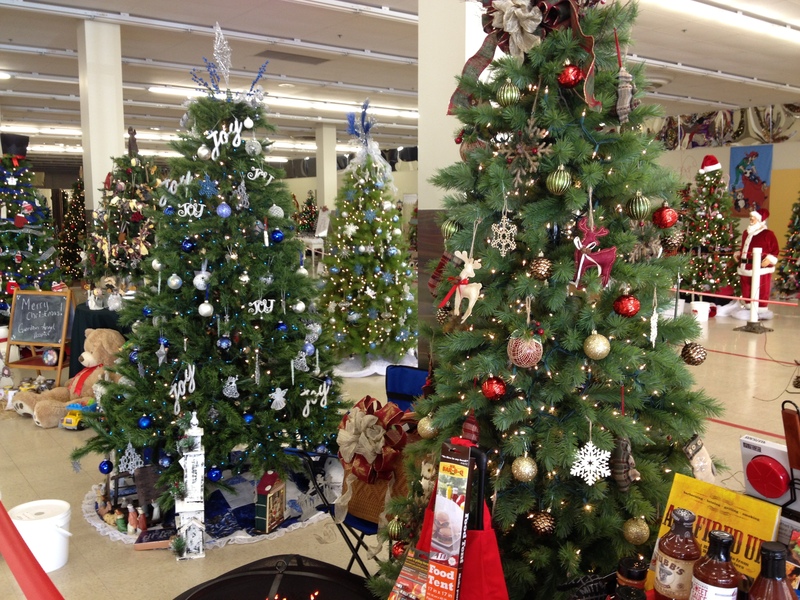 The tree auction will be held on Sunday, November 11 at 3 pm. 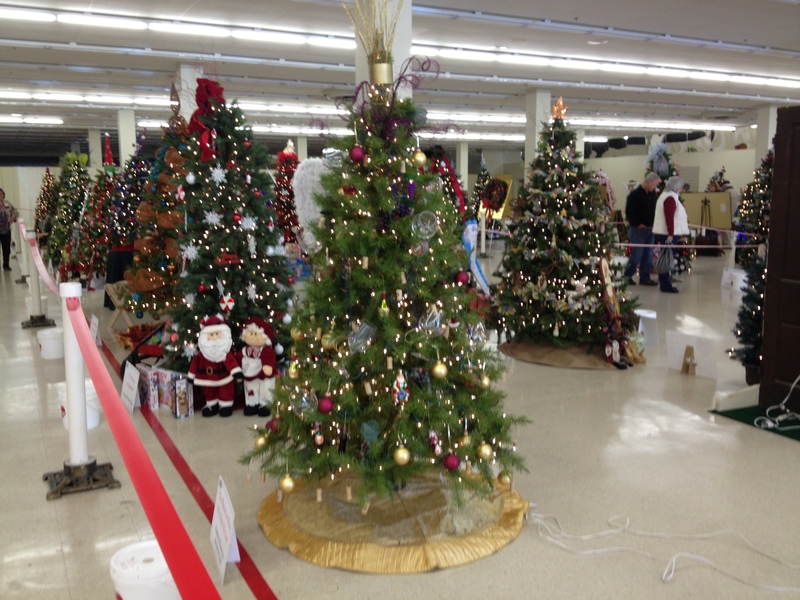 Hundreds will gather to watch and bid as all of the trees and wreaths are auctioned off with proceeds benefiting We Care. For more information, visit www.WeCareOnline.com. Here are some of the photos I took this week! Also, don’t forget about the We Care Store. 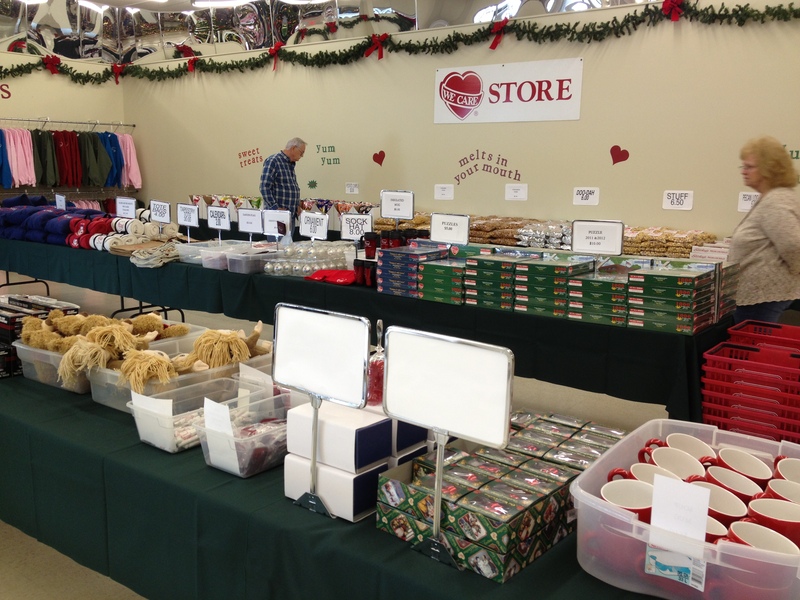 Located next to the Trim-A-Tree Festival, there are many holiday items for sale including Kokomo and We Care sweatshirts, coffee mugs, cookbooks, puzzles, tote bags, cheese balls and sweet treats! 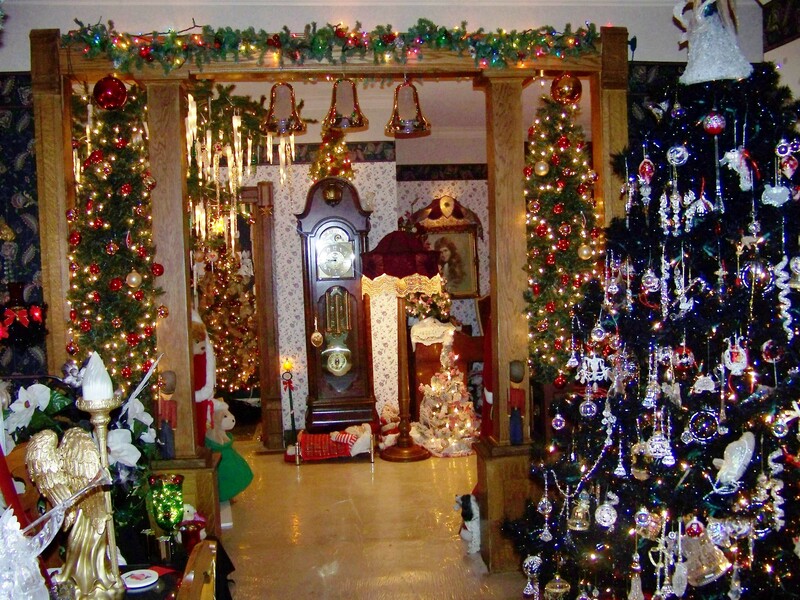 The residence at 1501 East Sycamore Street in Kokomo is annually transformed into a Christmas wonderland from top to bottom. Beautiful Christmas decorations, over 100 Christmas trees, and thousands of lights make the We Care Christmas Tree House a must-see attraction during the holiday season! The We Care Christmas Tree House is open daily for tours from 5:00-9:00 p.m. now through December 31, 2010 (closed December 24 & 25.) 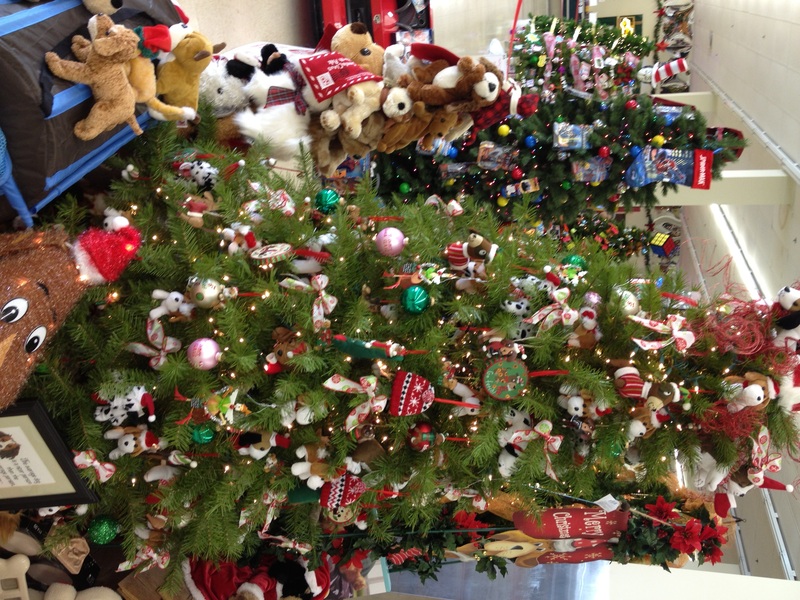 The home will be open special hours from 12:00 Noon – 9:00 p.m. on December 4 & 5 only. Admission is free, and donations are accepted for We Care. Group tours and private showings can be arranged by appointment through January 9, 2011. To arrange a private showing or for more information, call 765-457-5155.